From a vision that was birthed from the Founder’s passion for the self-actualization of all women, and her love and appreciation of African art – Adara Foundation amongst its programs and initiatives is preserving traditional Nigerian resist-dye techniques by teaching underprivileged women all aspects of the craft, as well as introducing regional and international designs to the fabric’s versatility. In addition to the foundation’s focus on the holistic empowerment of women, and appreciation and documentation of African art & cultural pieces, it also provides educational grants to Nigerian students. 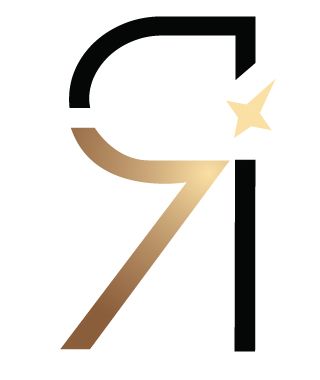 The Adara Foundation mission statement is to contribute to the development of Africa by catalyzing innovative development and transformation of women, the arts and education. The founder of the non-profit social enterprise Yvonne Fasinro also has a thriving career and is currently the Managing Director of Merrill Lynch & Head of the Sub-Saharan Africa division. Firm in her belief that all women, irrespective of their family or economic backgrounds, should have opportunity to achieve financial independence, she leverages her skills, network and travels, to create opportunities to transform lives, families and communities, and to catalyze innovative and transformative models of development in Africa. 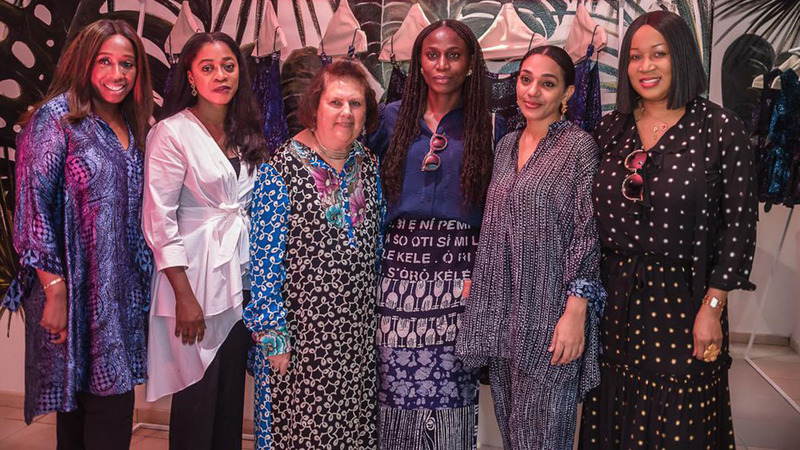 One of such opportunities recently created for the Adara women was the launch of the hugely successful partnership with established Nigerian designer Folake Folarin-Coker for her diffusion line Tiffany Amber Nigeria ‘TAN’. For the collection which was debuted at a private event during the Lagos Fashion Week 2018, last October. The elegant, airy outfits created from the Adara women’s hand-dye fabric highlighted how the ancient, traditional & complex techniques of hand-dye could be transformed into simple, modern styles and sold at a premium. The fresh patterns on light materials like chiffon and silk made into glamorous outfits were eagerly sought after by shoppers at the Fashion Week event and subsequently. 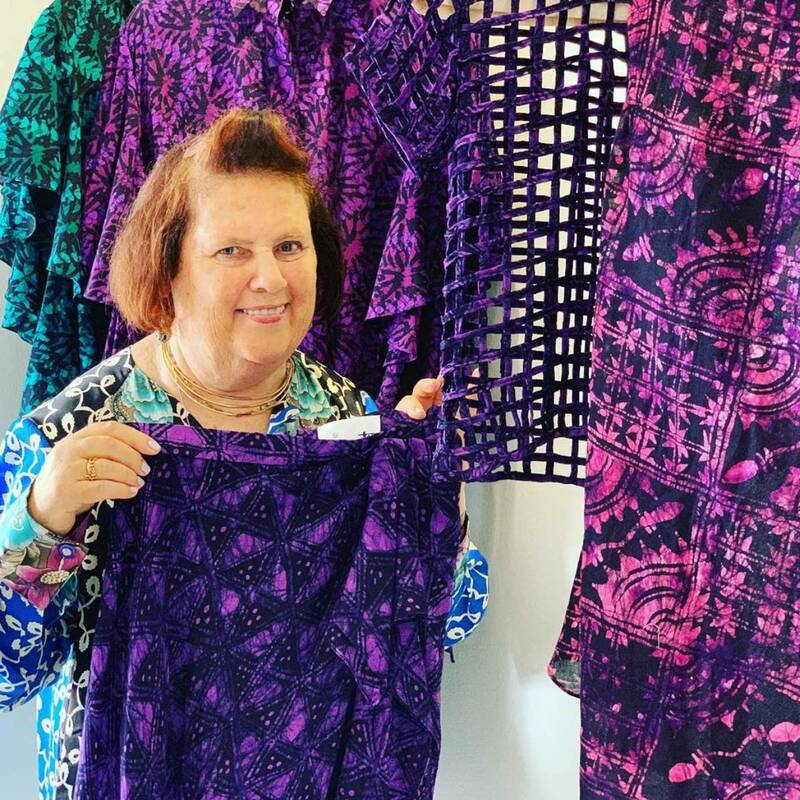 Little wonder that Suzy Menkes, International Vogue Editor and world-renowned fashion journalist got interested in the Adara Foundation story and visited the women’s workshop and attended the exclusive 2018 Lagos Fashion Week TAN x Adara event that held at the equally impressive TAN Store in Victoria Island last October. Yvonne Fasinro and the Adara team are definitely living up to one of their promises to the women which is to connect their products and services to global markets and responding efficiently to market trends. 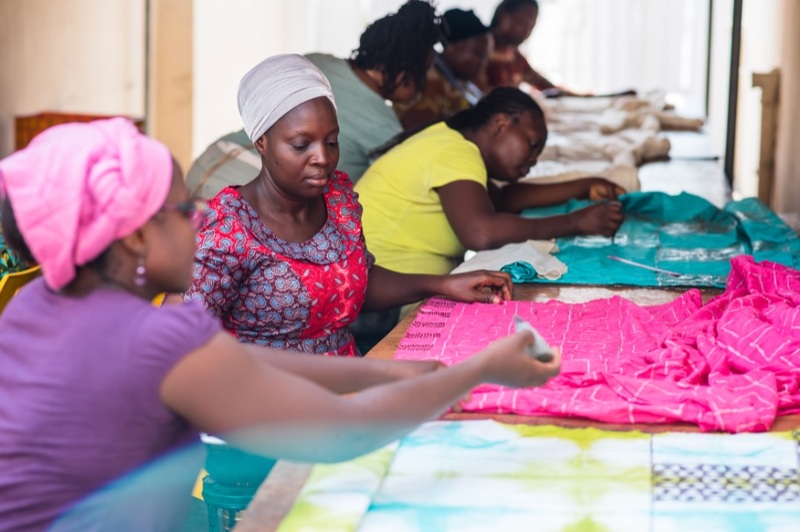 The Adara Foundation is especially mindful of the constantly evolving nature of our imperfect world as well as the unique struggles & harsh realities that these women from low-income backgrounds are faced with on a daily basis. However, they are doing a mighty fine job as they strive through all their initiatives and programs to improve all aspects of the lives of the Adara women.